Leading integrated SATCOM provider, Intelsat is set to launch Intelsat 37e, their next-generation of high throughput satellites. This 5th Generation high performance satellite will be launched by Arianespace on an Ariane 5 launch vehicle on September 5, 2017 at 5:51 pm EDT from the Guiana Space Center in Kourou, French Guiana. Manufactured by Boeing, the all-digital Intelsat 37e payload represents a significant evolution of the award-winning Intelsat Epic platform. The satellite features full beam interconnectivity in the C, Ku- and Ka-bands, and also includes enhanced power sharing technology and steerable beams in Ku- and Ka-band. These features combine to bring additional flexibility to address regional and application requirements for broadband, mobility and government customers in the Americas, Africa and Europe. 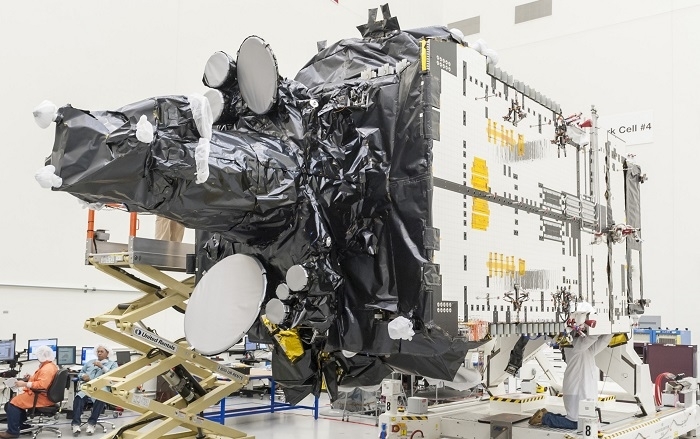 The Intelsat 37e will be placed into service at 342° E where it replaces Intelsat 901, which will be repositioned to another location in Intelsat’s Globalized Network. Click here for the scheduled live webcast of the launch.